Attention bakers! Here's a great opportunity for you: The Annual Cookie Exchange! Don't miss out! 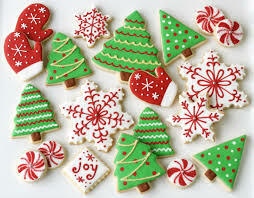 Register for the Cookie Exchange today! Please bring five dozen of your favorite cookie, brownie and/or other bite size dessert with your fellow Newcomers. One dozen will be shared and eaten at the cookie exchange, the other four dozen will be shared with members to take home to their families. Please remember to bring a container with you in order to bring your cookies home and bring a copy of the recipe, too. This year's cookie exchange will take place at Amy Hill's Home at 218 N Home on December 11th at 7pm.